I LOVE Alice’s Tea Cup! 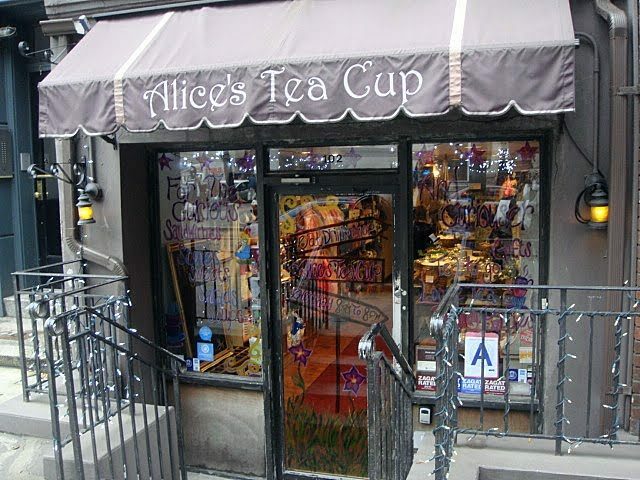 It’s a little tea shop with a whimsical Alice in Wonderland theme, and they have three locations: E. 64th St, E 81st St, and W. 73rd St. I’d only gone to the 64th St. location but recently my sister and I stopped in for afternoon tea at the UWS location. It was fab! They have a tea menu that’s about 20 pages long with every variety you can imagine, and the food is surprisingly good. It’s perfect for a girly afternoon of tea and scones in a unique atmosphere. 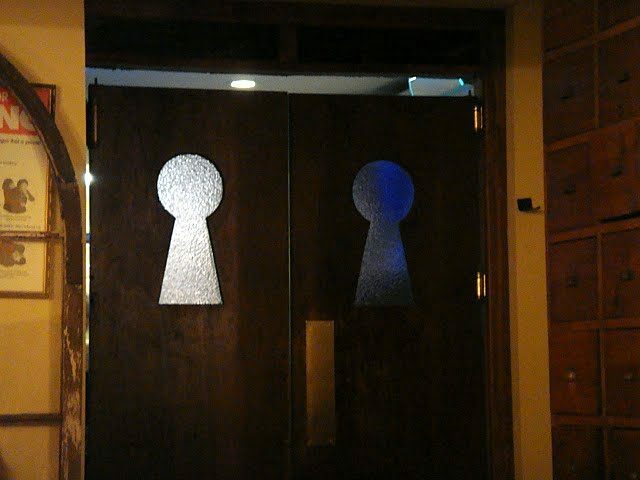 Girls of ALL ages will love this place, from little kids to older folks and everywhere in between-anyone will be charmed (even guys, but you’ll have to drag them against their will most likely). 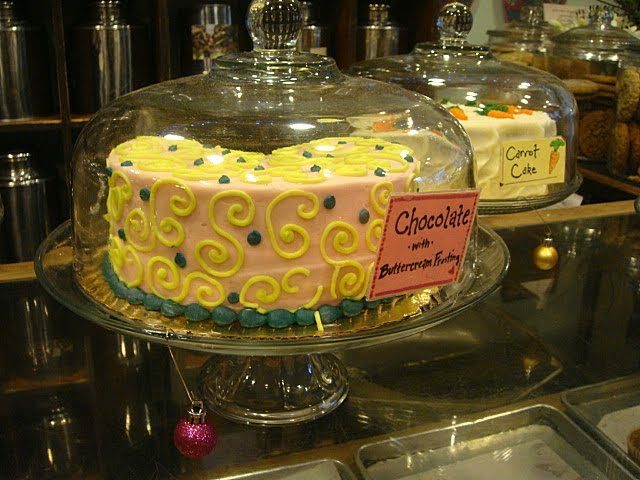 Even without all the lovely and cute decor floating around, I would eat here just for the moist scones and flavorful tea! Love the sweet little entrance! And it was so pretty when they turned on the little fairy lights wrapped around the railing. So many different types of tea! 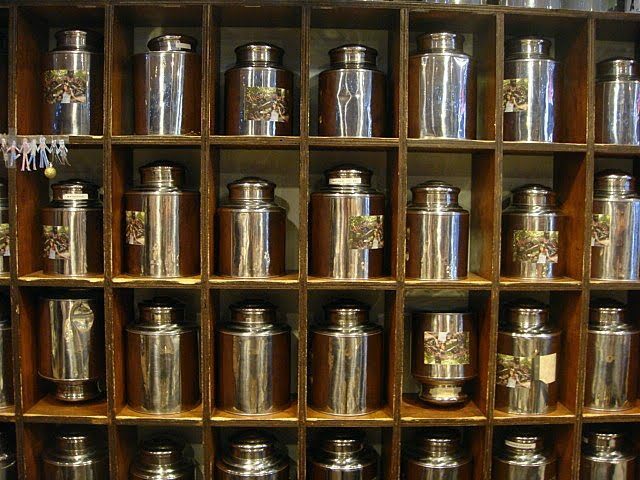 It’s a tea lovers heaven. 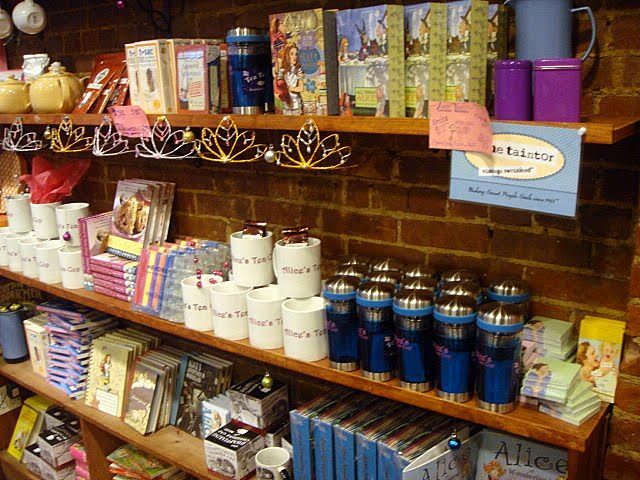 All sorts of fun gifts-teapots, travel mugs, cookbooks. And tiaras of course. Lots of pretty baked goods. 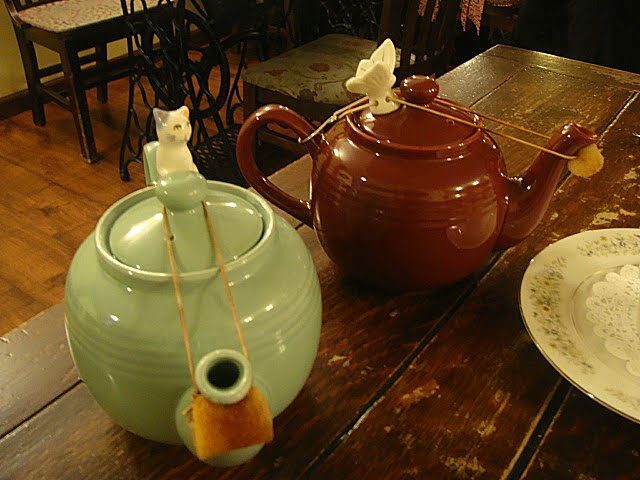 I love the little things they put on top of the teapot to hold the cover in place. No idea what it’s called, but mine was a cat! And my sister had a cute little butterfly. Buttermilk scones with clotted cream and jam. Um, yum. I wish I were English so this would be a daily meal for me. 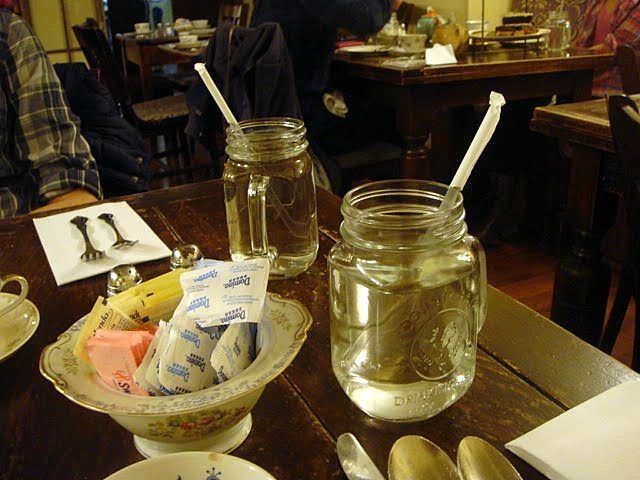 Mason jars for water cups! So charming. 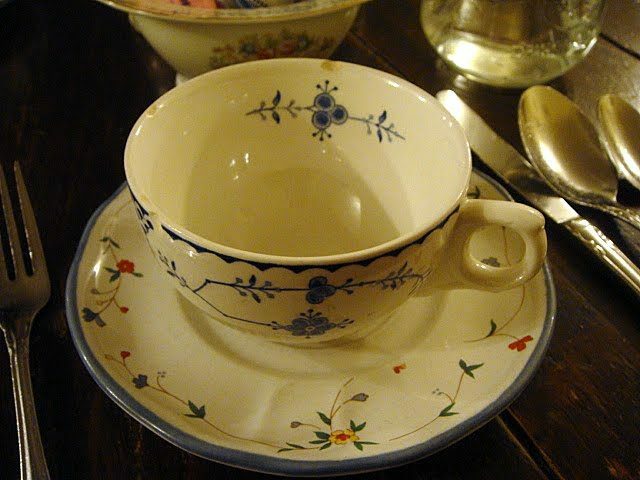 Pretty vintage looking teacups. I had the almond flavored black tea and even though I’m a total coffee fanatic, I loved it. 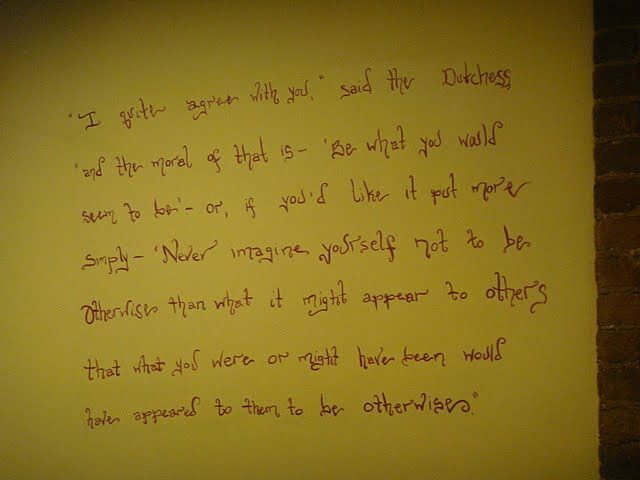 A quote from Lewis Carroll’s Alice in Wonderland written on the wall. 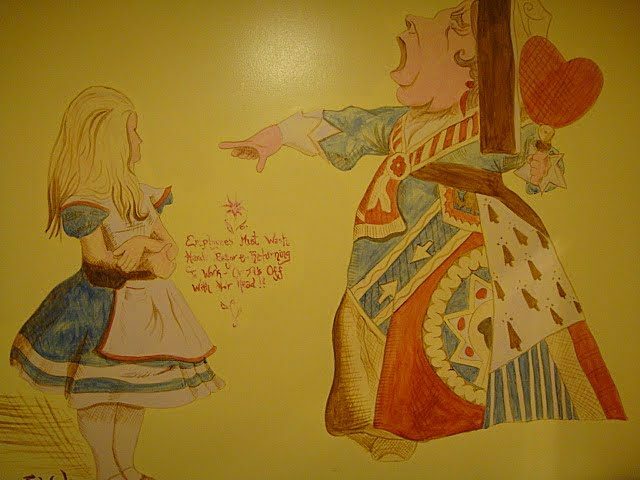 Alice mural on the wall. Places like this are part of the reason I love NYC so much! It’s the perfect place to stop in for a little pick me up during a day of shopping, or to just sit and relax with a book and get a great little snack. Highly recommend! 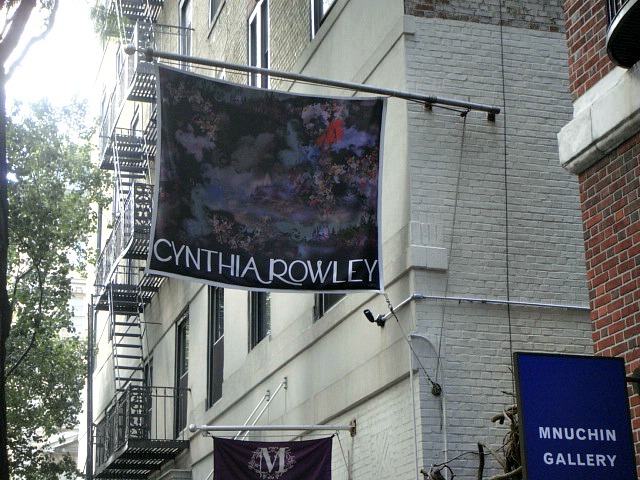 what a beautiful shop~ I will most def have to check it out the next time I visit NYC. I just love your blog! How cute! It reminds me of Serendipity! Have you had the frozen hot chocolate there btw? Whitney, Yup, Alice's Tea Cup is a LOT like Serendipity! I love both places, and yes I am obsessed with the frozen hot chocolate. Love it. What a wonderful place! I'll put it on my NYC list! Gorgeous photos, you have a beautiful blog! i have always wanted to go here! 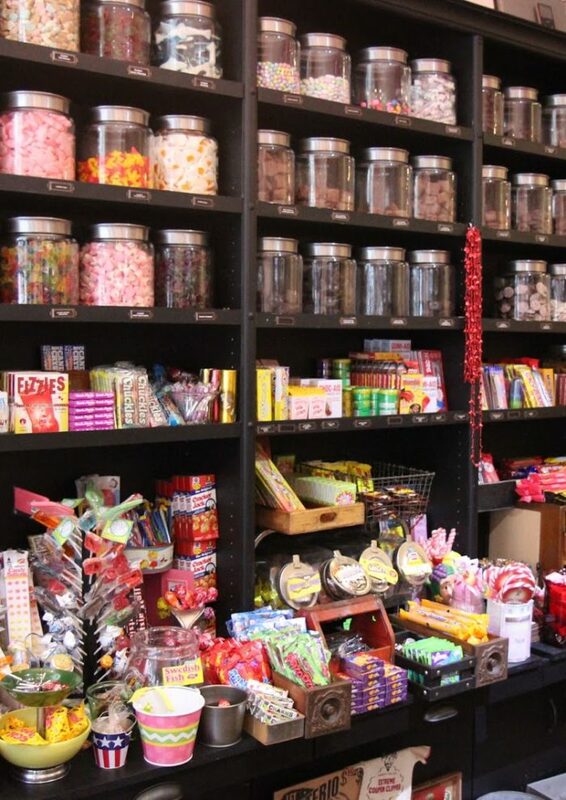 it is definitely on my list for next time i visit NYC. thanks for the post. so cute! thats what i love about NYC- sad we dont have places like that in this boring town (LV). What a lovely cozy place! I'd love to visit! What an adorable place! I love Alice and Wonderland. 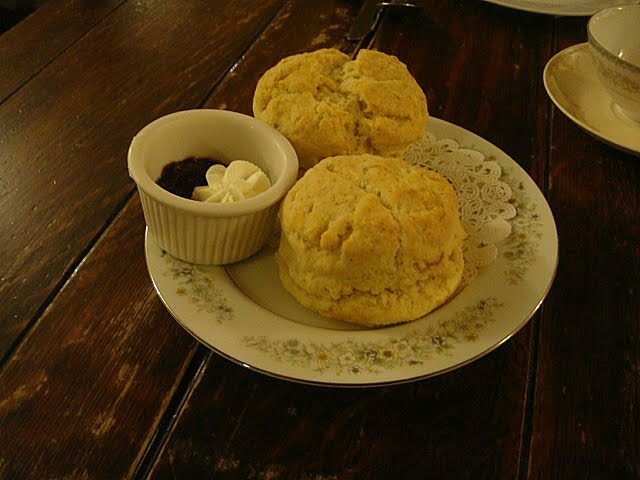 Cool atmosphere and the scones look yummy! Oh my gosh. I want to go now. That is the cutest idea! Alice in Wonderland is my absolute favorite. Putting this place on my must do when in NYC. I can't wait! !